I began my interest in the accounting industry through my Bachelor of Commerce in 2010 at the University of Western Australia majoring in Financial Accounting and Management Accounting with a Business Law minor. My passion for accounting picked up during the second year of my degree when I began working part-time at the R E Ledger. I was able to relate what I have learned on paper to real life situations, which was challenging yet interesting to me. I undertook an Honours year following my Bachelor degree at UWA and commenced full-time work at R E Ledger in 2014. I have completed my study with the Institute of Chartered Accountants in 2015 and am embarking on the CTA3 Advisory program with The Tax Institute in 2016. My current role at R E Ledger is quite diverse. It varies from client meetings to tax research to preparation and review of financial statements and tax returns to supervising our junior and intermediate staff. I have had the opportunity to work closely with our director on ATO Tax Audits and company liquidations which were most fascinating. I’ve had the opportunity to learn from and work with leading tax advisors while working on a diverse and fascinating group of clients, allowing me to gain valuable knowledge and skills on various aspects of our industry. Using these skills to help and work with clients to achieve their objectives is very rewarding for me. 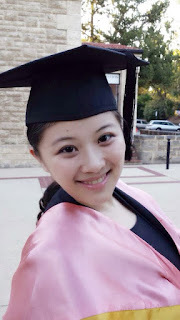 Another highlight would be finishing my CA study and achieving merit results for both Taxation and Financial Reporting. I was encouraged by my mentor to join The Tax Institute to further enhance my tax skills. The Institute’s seminars and publications provide me with an excellent opportunity to enhance my tax knowledge and skills. In addition, joining The Tax Institute provides great opportunities to meet other like-minded tax professionals. Whether it is learning new knowledge or keeping up to date with changes within the industry, study in our profession never ends. Being proactive and never being afraid to ask questions are the key to gaining knowledge and experience. Want to expand your education, visit taxinstitute.com.au/education for further information.